The indicator displays in the additional window the size value of each candle in points, the average value over the specified period, and also a signal of the last candle exceeding the average value multiplied by the specified coefficient. During the formation of the signal, a message can be displayed in a pop-up window and/or notifications can be sent to email and to mobile terminal. 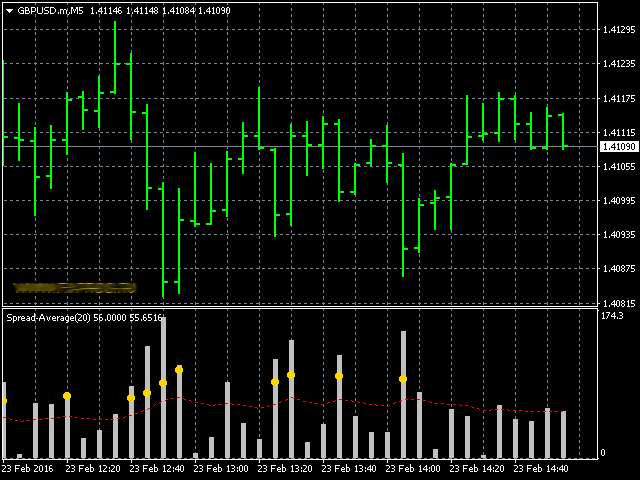 This indicator uses the MovingAverages.mqh library from the standard MetaTrader 4 software pack.